Ema is an integrated Creative Director and Brand Builder at Garcia and Prisca. Preceding this, Ema was Creative Director at Graffiti BBDO Romania where she headed various prominent campaigns including Pepsi, Wrigley and Mars. 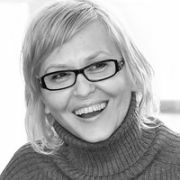 Prior to joining BBDO Prisca was Senior Copywriter at Leo Burnett Romania, where she worked on successful campaigns for clients such as P&G and Vodafone. Prisca has won numerous awards for her work, and is a founding member of the Art Directors Club Romania.